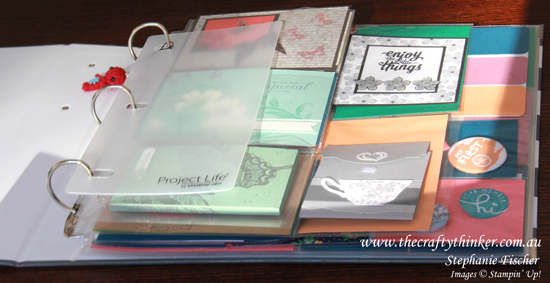 I'm so excited about Project Life right now! Why? Because I started using it. 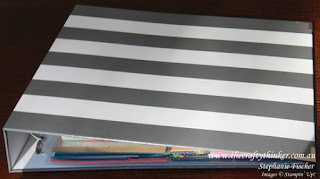 I had this album sitting in my craft room for AGES, waiting patiently for me to get my act together and do something with it .... anything! It's hard to say what had been stopping me - certainly I felt a bit intimidated but I'm not sure why- especially now I've tried it and realised how easy and quick it is and that there are no wrongs! So my first foray into Project Life was this 12" x 12" album - it turned out to be the perfect way to keep all my memories, sneak peeks and product tests as well as all the beautiful swaps I came back with from Sydney On Stage! The little red critter was a gift from one of my fellow Crazy Crafters and he's now very happily tethered to the ring binder. 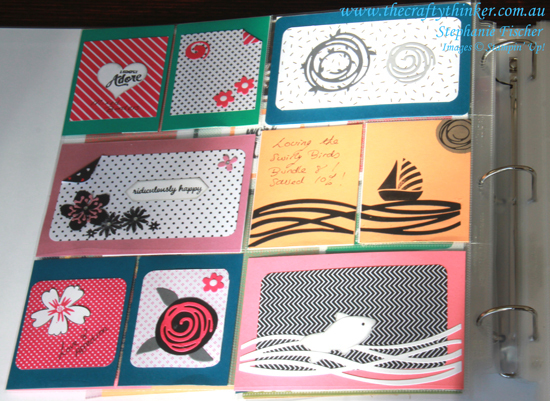 This page is full of ideas that occurred to me as I was testing out some of the new products. They may turn up on cards in the future. This fish is half out of water! I quite fond of this little fish. I used the Bow Builder punch and Festive Flower Builder punch. The waves are cut with the Swirly Scribbles Thinlits. The background is the new In Colour, Flirty Flamingo. The DSP is from the new Pop of Pink pack. 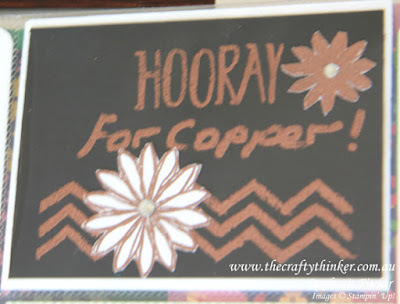 Clearly, I had to celebrate the new copper embossing powder! I just love it! 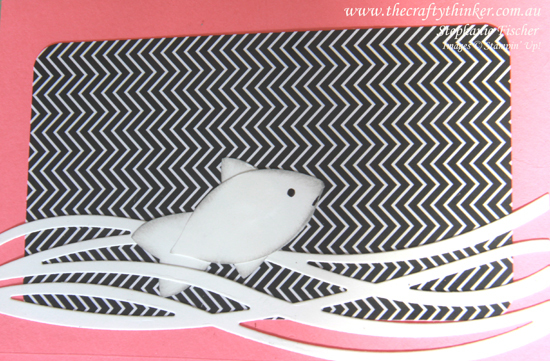 The zigzag is from Work of Art, the word "Hooray" is from the new set "Perfectly Wrapped", as are the flowers. I hand wrote "For copper!" with a Versamark pen and copper embossed it. This was a good place for me to start. I learned to not overthink and just do something and it broke my inertia! From here I went on to make an album for each of two of my nieces as birthday gifts and I'll show you those in the next few days or so.